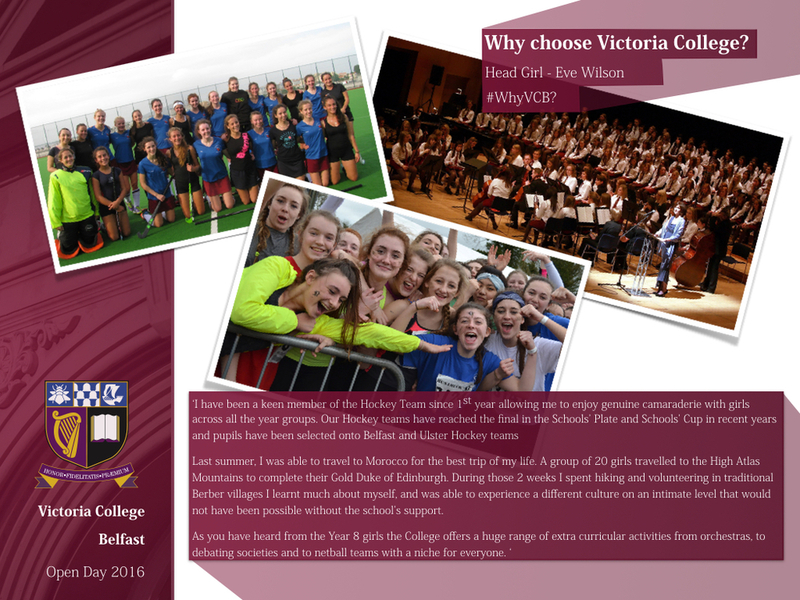 On the 9th January 2016, VCB's Head Girl Eve Wilson, delivered a moving speech to prospective pupils. Eve described Victoria College as a school at which 'every girl is inspired, enabled and challenged to achieve her maximum potentia'. The speech was extremely well received by attendees who commented on Eve's enthusiasm, confidence and obvious passion for Victoria College. A transcript of the speech can be downloaded by clicking on the link below. Posted on January 19, 2016 by Victoria College and filed under Announcement.